These books relate to different aspects of Indian culture, and the rich heritage of India. 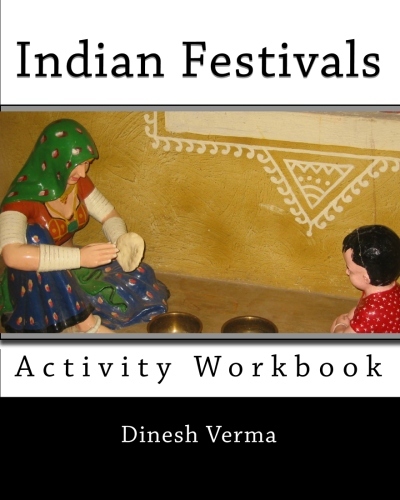 This activity book introduces a number of traditional Indian festivals to children via puzzles, mazes and other activities. Most of Indian traditional festivals are rooted in Hinduism. 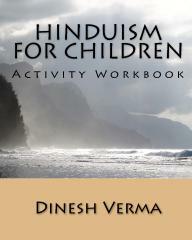 The activity book introdces the fundamental principles of Hinduism to children in a fun manner. Children learn about this great religion as they are having fun. This book has a collection of stories from the ancient Hindu, Buddhist and Jain scriptures which reflect the values and mores of Indian culture. Bhajans are Hindi devotional prayers. This book has a collection of some of the best classic bhajans that have been sung by devotees throughout the ages. 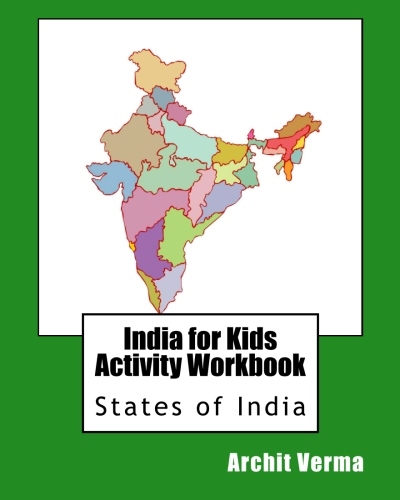 This book provides an introduction to the states of modern India, with a brief overview of the history and salient points about each of the states. 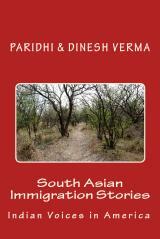 This book has a collection of stories related to experiences of Indian people emigrating to the United States. Note: Thepreview button takes you to the Google preview page for the book in a new window, and the Amazon page button takes you to the details page on Amazon in a new window. 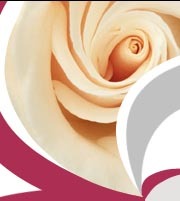 The different Buy links take you to the book page of the retailing website. If you are buying in bulk (10 or more books in an order), you may find our bulk discount offering 50% off regular Amazon prices useful.